Quick pit stop in DC to drop off some of my no longer needed goods to my sister. 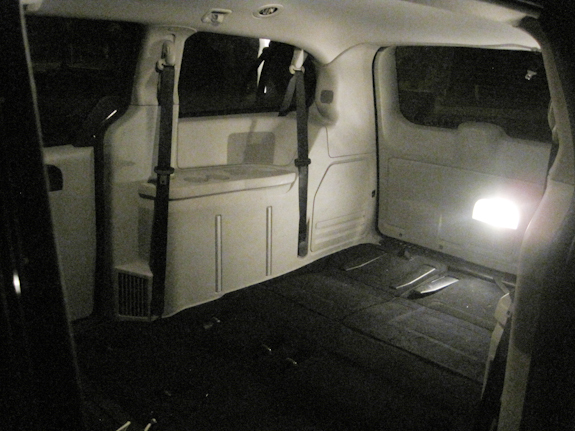 Have you ever wondered how much stuff you could actually fit in one of those Dodge Caravans? I’ve always seen those commercials where they fit a whole youth soccer team AND their equipment, but I’ve never personally tried it. 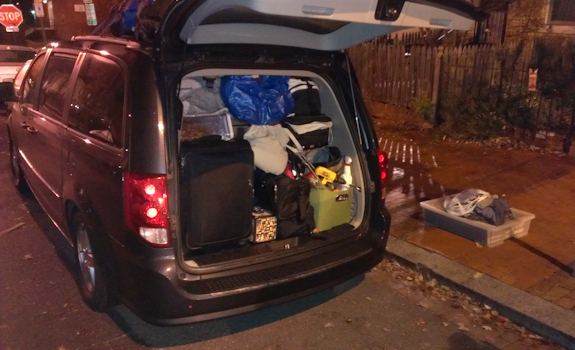 For our trip from NYC to Florida we made sure to rent a mini van and hope we got one with stow-n-go seating so that we could fit as much of our crap, two dogs and us inside for a 72 hour period. Half of our belongings are on our boat on their way down to meet us, but we still had a lot to bring down with us meaning we really had to maximize our space. It turns out you can fit a LOT inside. We stowed all the seats and Jason put his magic Tetris skills to work and managed to get every last one of our boxes inside. We even had enough space for a luxurious pillow and blanket pallet for the pups. We bungeed everything in place and strapped a few packs to the roof rack and were on our way! Jason laying proud with all our belongings after we unloaded them. So much stuff!